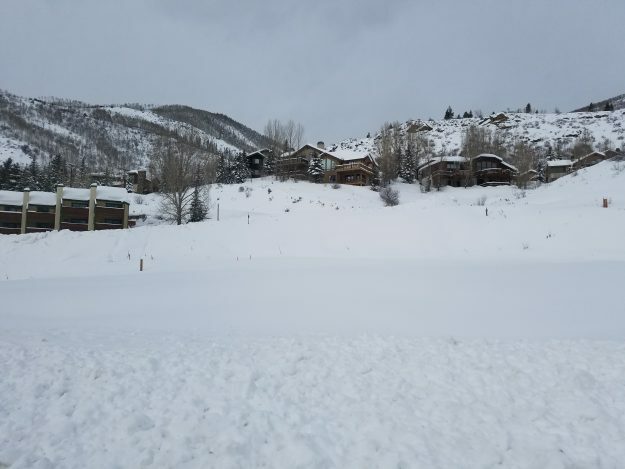 The 2-acre site of the old Roost Lodge in West Vail seems like a perfect fit for workforce housing, more parking and moderately priced hotel rooms in the form of a proposed Marriott Residence Inn (David O. Williams). Editor’s note: The Vail Town Council on Tuesday voted 5-2 to approve the SDD ordinance after presentation of the developer’s modified plan. On Tuesday, the Vail Town Council will once again review an ordinance that would approve a Marriott Residence Inn and more than 100 workforce apartments on the site of the old Roost Lodge in West Vail. The developer has scaled back his project a bit to address neighborhood concerns that the building was simply too big for the 2-acre site. Sorry neighbors and other West Vail residents, the project isn’t big enough, and it should have been approved at a Jan. 3 meeting where council members voted 4-3 to send the developer back to the drawing board. In exchange for building 113 workforce apartments – 107 of them deed-restricted – and 29 more parking spaces than required, the developer was seeking approval under a “Special Development District (SDD)” not seen since the controversial Solaris project in 2006. Now the developer has downsized his project, dropping it from 60 feet high to about 48 feet and losing 11 of the apartments, according to the Vail Daily. It will still include 170 moderately-priced hotel rooms – something Vail is in desperate need of – and 331 underground parking spaces. To say that Vail needs a bit more parking and workforce housing is like saying the Denver Broncos could use a little help on the offensive line. I was only sort of kidding back then, calling the old Crossroads Building replaced by the sleek new Solaris an “utter dump and a MOPFOM (Money Pit Full of Memories) because I used to work there in the old Vail Daily offices and party there in the Hubcap Brewery and Garton’s. Will anyone now seriously make the argument that Vail was better off with Crossroads instead of Solaris, with its public plaza for concerts, ice skating, movie theaters and a bowling alley? And, it was in the exact right location for redevelopment at higher density: right between South Frontage Road and I-70. The only argument that really can be made is that it should have been taller and included even more parking and onsite workforce housing. Ten years later, there have been no other development applications seeking higher density under SDD, and that’s a crying shame, because the demand for workforce housing, parking and moderately priced hotel rooms has increased exponentially since 2006. The Roost Lodge was even more of an eyesore than Crossroads, and we’re not even arguing about saving it since it was torn down a few years ago. Now the neighbors are worried something really big and new and nice will block their views of an interstate that on recent weekends has looked a lot like Denver’s I-25 at rush hour. They should be begging the builder to go bigger, because the old Roost Lodge site is exactly in the right place: between I-70 and North Frontage Road. We’re talking about building a sound and sight barrier between a major interstate and your home – one that will have the added benefit of more parking, rooms some of those stranded motorists can actually afford and apartments where the cops, firemen, restaurants workers, resort workers, road workers and every other kind of worker who serves you every day can actually afford to live. Yeah, build it bigger and build more projects just like it all along the frontage roads. Because back in 2006, before the banksters crashed the economy with their mortgage-backed securities scam and consequent housing crisis that our President-elect loves so much, things were roaring along so nicely that all we could talk about was how much we needed more workforce housing, more parking and more moderately priced hotel rooms. Then the crash came, the workforce housing crisis eased, and instead of using that opportunity to snap up any and all available housing and land for parking and more housing, our town leaders “prudently” sat on their cash reserves while the developer of Solaris did all the snapping up of housing. Thing is, that was pre-Epic Pass, and while that deeply discounted season ski pass concept helped save the local ski industry, it also acutely increased the demand for, you guessed it, parking, workforce housing and moderately priced hotel rooms. Yeah, I think it is, but with it came a lot of pent-up demand for the Vail experience. Reminder, the last major ski resort to be built in Colorado was Beaver Creek all the way back in 1981. They aren’t building more Vails and Beaver Creeks, but millions more people live here now than back in the 80s – and Interstate 70 really hasn’t changed much since then. It’s a gridlocked nightmare. We cannot put the Epic Pass genie back in the bottle. That business model is here to stay. Nor can we convince all the recent transplants that this place really isn’t all that great and they should move back to the Midwest, East Coast, California or other less desirable parts of the world. Vail itself will never go back to being what some Roost Lodge neighbors and other West Vail neighbors remember it as back in the 60s and 70s, with local kids running around the Village and car traffic a trickle. It’s a full-blown mega-resort that can accommodate 20,000 people a day. The fantasy of bringing working-class families back to Vail – unless they’re packing massive trust funds — should be forever put to rest, right along with the ridiculous multi-billion-dollar “bury the highway” proposal and the fantastical bullet train to DIA idea. The town-owned Chamonix project should be all about what it is: workforce housing. Only thing is it should be much more dense and part of an overall West Vail Mall redevelopment that brings in tons of workforce housing, parking and even more moderately priced hotel rooms. Face it, Vail in 20 years will be mostly dark in its upper reaches, with giant homes like the new record $23 million Rockledge place occupied a fraction of the year. And its lower reaches along the highway and frontage roads should be packed with workforce housing, plenty of parking and moderately priced hotel rooms for the masses … and all those stranded skiers on gridlocked I-70. All it takes is a little vision, starting with a Marriott Residence Inn, and a willingness to look to the future rather than remain stuck in a past that faded away decades ago. Go to LetMeLiveInVail.com to voice your support for the project to the Vail Town Council.